An illustrious grandfather, who was general, a father who was a military doctor but never at home. Miao by his grandmother and Tujia by his mother, he claims that he is a Han but dreams that he is a Miao. All his work reflects his fascination with the Miao ethnic group, often despised, but full of vitality, energy, while the Han culture near the end of the empire is not creative. A feeling for the sacred, the beauty, love, and an opposition against a rigid Confucianism in the towns; these elements will be the core of his short stories . After short studies, he joined the army, and writes impressive stories of pacification campaigns with their unnecessary killing, but until the end of his life,he will praise the qualities of some characters, villains or officers, he has worked with. “The little soldier in Hunan – Autobiography” is one of the most enjoyable books by Shen: profiles, dialogues, new developments … it’s actually the autobiography of a very attractive region. This genre is underrepresented in China but is distinguished by some wonderful texts, including “Six Records of a floating life” by Shen Fu (1763-1825? ), translated in French by Pierre Ryckmans and just re-published by JC Lattes . He left the army when he was twenty; the future is in the cities. He settled in Beijing, but without an adequate level of training he cannot enter the university. He started writing and some friends helped him to be published in 1924. He became editor of the literary supplement of a newspaper in Tianjin and in 1929 professor of literature in an Institute without graduating. Some years later, he married one of his students, Zhang Zhaohe, after long years of courting. Some letters of this marriage of fifty years have just been translated by Yiyun Li for the literary magazine “A public space” . Literature should influence social changes, he wants to be a member of the avant-garde literature and will create a regional literature filled with his memories of Fenghuang, dialects, stories, plants and animals of his native region. Universal themes will follow. Finally, this region becomes a “moral community” that allows a critical evaluation of modern China. He makes use of Miao traditions and songs, of “Courts of Love” to dramatize the psychological part of his short stories, underlining free love in the mountains opposed to Confucian traditions, including the fate of the widows who were not permitted any further relations. His stories, which are at the heart of his work, are only translated in English (2) by Jeffrey Kinkley who also wrote a biography of the author of major interest. In French, we ow to Isabelle Rabut, professor in the INALCO, the translation of three texts including his most famous novel “Border Town” (1). The “frontier town” of Chadong is a Han town in a Miao area but the novel does not pretend to be realistic. Nothing realistic nor in the plot nor the characters: Emerald, the heroine becoming a young lady and her grandfather who is close to death. Allusions to sexual emotions of the heroin were later charged to the author. Marxists for their part, emphasize his inability to analysis in terms of class struggle! Poor Emerald, courted by two brothers, this novel is a beautiful text with a glorification of nature and love, but where some characters are fairly schematic. 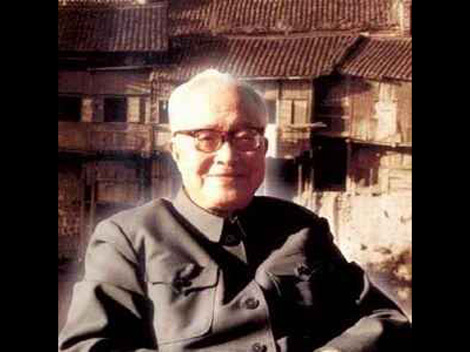 His relations with the “Union of leftist writers ” were bad enough: he accused Lu Xun of promoting only writers from his province … As for his close friendships with communist writers (Ding Ling and Pa Kin), they did not help him when he was attacked by such political opportunists as Guo Moruo. The Communists, resented his lack of political analysis and a style far from realism. His very bad relations with the Nationalists around Chiang Kai-shek and the Kuomintang (KMT) did not help him with the Communits. He hated this undeclared fascism relying on the Americans and some Christian groups. 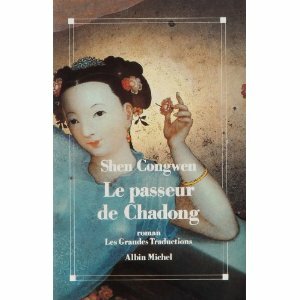 Several of his writings including his novel “The Long River” (not translated) were butchered by the censors. Later, in Taiwan, where Nationalists fled, his works were banned altogether. Becoming closer to the Communists during the war against Japan, he always refused to write “patriotic literature,” and he feared the possible drawbacks of a social revolution and political control over the writers. He became increasingly isolated and the developments in his native region, where corruption and military reigned, brought his morale to very low levels. In 1948, he stopped writing. After a suicide attempt, he left university, guided tours for the public at the National Museum of History and wrote his forced confession! However, he cauld go on with research and publications on antiques and worked for several years on a book on Chinese costume with the support of the authorities. 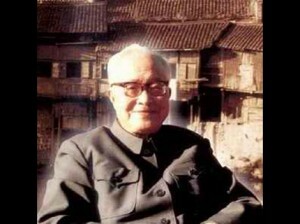 This did not save him from misery during the Cultural Revolution and he will suffer like so many other intellectuals. He starts to be forgotten and his death in 1988 did not help! We wish him a renaissance like Eileen Chang, whose success in China with the younger generation is spectacular! 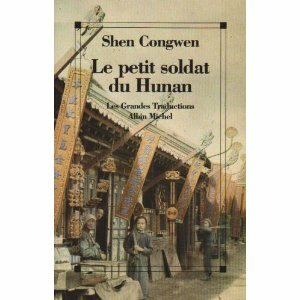 (1) “The little soldier in Hunan-Autobiography” and “Border Town” are translated in French by Isabelle Rabut and published by Albin Michel. (2) Short Stories “Imperfect Paradise”,are translated to English by Jeffrey Kinkley. “Border Town” has been published by Harperperrenial in september 2009.